Another Cyber attack on Sony this year, Hacking group called "NullCrew" hack into one of the biggest site of Sony mobile website (www.sonymobile.com) and leak complete database on Internet. 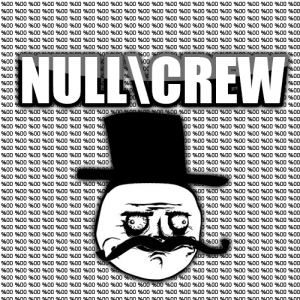 Nullcrew releasing their hack dumps from their official twitter account @OfficialNull. Sony, we are dearly dissapointed in your security. This is just one of eight sony servers that we have control of. Maybe, just maybe considering IP addresses are available. Not just Sony, Nullcrew recently hack into Cambodia Army website and dump database. "Recently the co-founder of Piratebay was arrested in Cambodia, this seems like the megaupload case.As long as the government attempts to censor, then there will be more of this; what happened to Freedom." "So that is why #OpTPB has come to be, they should have expected it when they did this.Cambodia, we will not stop until you come to your sences." And also UK government website (data.gov.uk) to Support Julian Assange and Wikileaks. Hackers list all the Vulnerabilities on the server and upload database on file sharing site.